Ever since I have been in contact with them and even met up with a seller of their wares in Finland at the Kallio Invitational, they have always been friendly and professional. Why me to even be considered for their series of 1/1000 interviews? I consider this to be a very big honour. O I may have been more than a tad effusive about the travels around the world in pursuit of derby and travel photography, and a liking for the green and white in a til I die type of way. 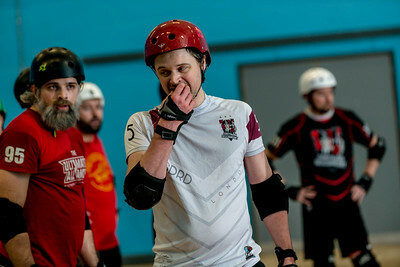 Reflecting a little further on the sojourn to New Zealand, when Papercut or Cutty as we call her cued me into the Full Contact derby bootcamp was in the month of February, a bell rang inside. February! New Zealand! Summertime! I was so going to be there. And this comes back to this wonderful video that sums up the life experiences on the road. If anyone wants to help redesign my wordpress site here or my joemac.smugmug.com site feel free to contact me. Merci! Dont know why you say goodbye I say hello. I have not become a snob or a collector because who could afford that?